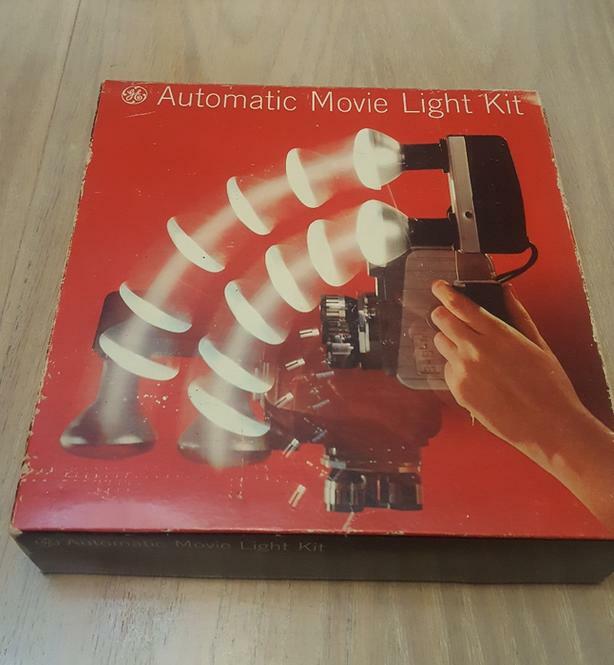 Vintage automatic Movie Light Kit by G.E. Model DAN-2 in original box with bilingual instructions and warranty card. This light can be hand held or attached to your camera. On the bracket for mounting is an exposure guide for two DAN Bulbs lighting.